Otterbox just sent me a new redesigned holster for the Defender for 9900 and 9930. The magnet is now flush and he bottom of holster is lower. It's much easier to get phone in and out of holster now, and the magnet doesn't leave a mark on the "back" key. Because it's easier to get out of holster now, it doesn't pull the rubber edge off any more. It still has the useless lock to keep the clip open. don't understand why that's there. I compliment Otterbox for their great customer service and redesign of holster. However, the product is still not engineered as good as say the 9000 was. Just make sure you're getting the new holster and not the old one. Easiest way to tell is from the inside of holster. Is there an issue with bezel scratches? I believe that the revised model is on their site. 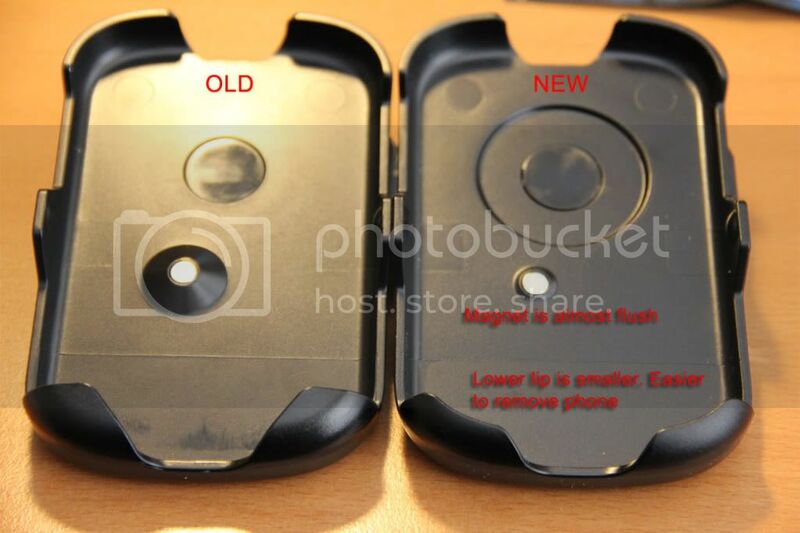 Along with the new holster, some thin rubber was added inside the case near the camera and led cut outs. i have no scratches at all from the original Defender case after 4 months of using it. is this revised the same one as on the OB website or has it not been officially released? Should be official now via Otterbox. Not sure when other stores will get new shipments in. ALso I still have issues with the "Skin layer"
Will the Commuter fit in the Defender holster? I may be placing an order today via the OB site instead of other third party site such as Amazon just to make sure that I get the new model. Before I order this one, does the Commuter fit in the Defender holster? I wish it did. That would be the perfect setup.